b.i.t.c.h. 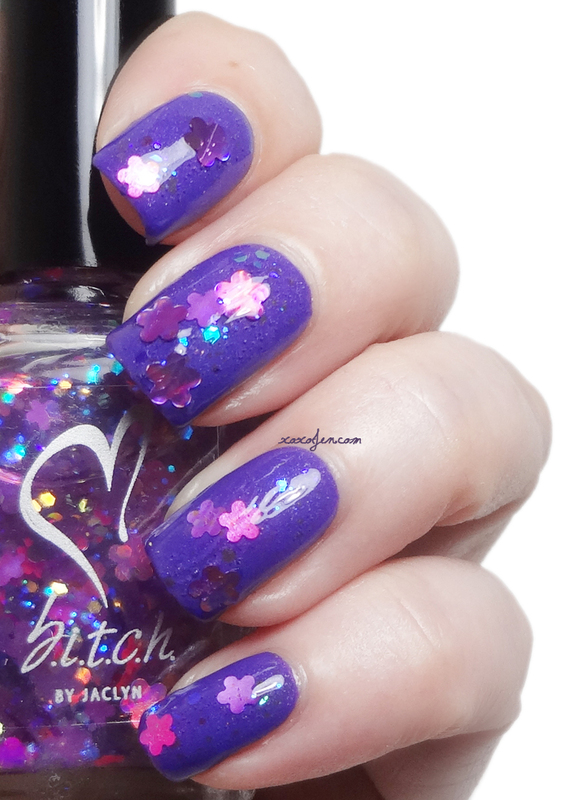 by jaclyn is back with a May Flowers collection for you! This set of six floral shades are the perfect summer treat for your nails. I wore two coats of each polish with a topcoat, the formula was good on these, no issues to report. 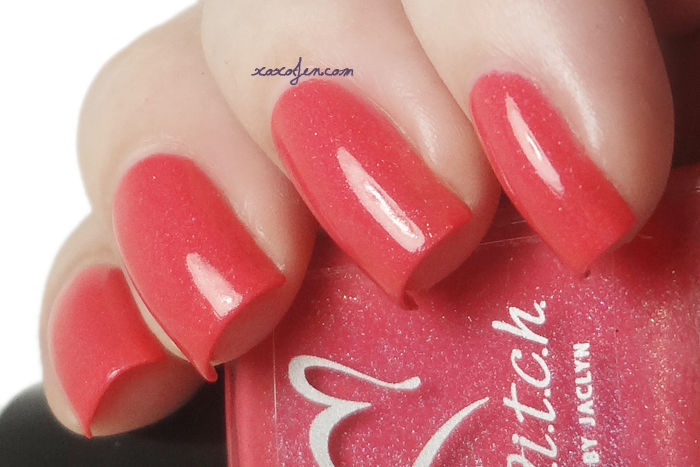 Fertilize Her is a juicy bright peachy shade with subtle holo, great for summertime! Tulips Are Better Than One is a true shade of coral with subtle holo. De-Flowered is a bright red orange with subtle holo. Garden Hoe is the sassy hot raspberry fuchsia magenta pink we've all come to expect and love from jaclyn's line, only this one is metallic and holo! It's my favorite from this set. I also tested stamping with it because it seemed pretty opaque. Stamped over white, it's a pretty rosy shade but over black the color was not apparent. Grower Not A Shower is a pretty oceanic blue with a linear holo effect. Just a Fling is a fun shade of purple with subtle holo. 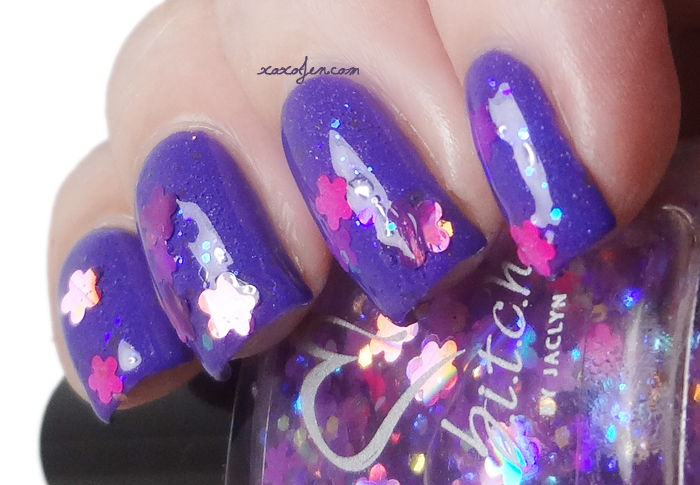 May Flowers is a pretty glitter topper packed with iridescent blue to purple glitter, yellow to green glitter, and two sizes of flower shaped glitter. The May Flowers collection launches on May 5 at 8pm Central time at http://www.bitchbyjaclyn.com/. These are some nice great colors.